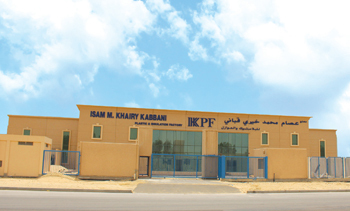 The IKKPF facilities in Dammam. The Saudi-headquartered IKK Group will put the spotlight on the products of its newest subsidiary, Isam Khairy Kabbani Plastic Factory (IKKPF) at The Big 5 show in Dubai this month. 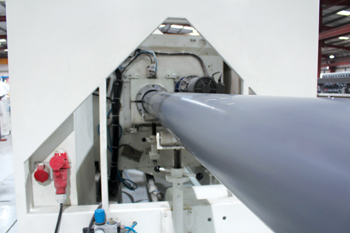 IKKPF, located in the second industrial city of Dammam in the Eastern Province, specialises in the manufacture of cable management conduit systems under the Namcoduct brand. 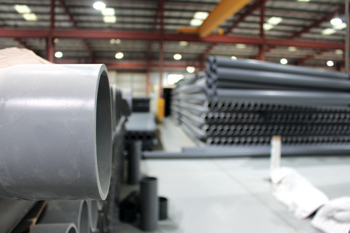 Its product are produced in accordance with Saudi, British and American standards, such as SASO, BS, NEMA and ASTM, to meet the requirements of the construction market, according to a company spokesman. The Namcoduct brand offers a wide range of straight run pipes. These pipes are exclusively distributed by National Marketing (Namat), also an IKK Group company, which has wide experience in the manufacturing and distribution of advanced plastic piping systems, he adds. Launched in June 2015, IKKPF is already planning to expand the size of the factory by building a new premises in order to increase its production capabilities. “This is to meet the construction market’s needs, which are highly likely to increase in the coming years in line with Saudi Vision 2030,” the spokesman says. IKKPF produces according to local and international standards. The IKK Group (Isam Khairy Kabbani Group) is a diversified group in terms of products, services and geography, active in the field of trading, manufacturing and contracting. It comprises 60 independent companies, which operate through 200 divisions, branches and outlets spread over 13 countries and covering all major cities in the region. It employs more than 14,000 people. The group has been ranked amongst the top 100 private companies in Saudi Arabia for the last three consecutive years and has established its reputation by serving the construction market through high quality products. IKKPF will be at National Marketing’s Stand (Z2 S111) at The Big 5.